WGM Jennifer Shahade, two-time U.S. Women’s champion, will be visiting the club on Thursday, February 5th! We expect Jennifer to start playing skittles around 8pm, but you are welcome to hang out and play eachother beforehand. If there is enough interest that night, we may even start a blitz tournament around 6:30. The cost? Well, it’s FREE for members! Jennifer’s style and opening repertoire are aggressive. She excels in open and attacking positions, and now is your chance to see how you stack up. So, come one, come all. Thanks to my brother Jon for sending this to me! Legendary chess coach and writer Bruce Pandolfini sent me a note following the publication of my review of the Soviet classic Questions of Modern Chess Theory. He commented that seeing the review of the book brought back some fond memories for him. 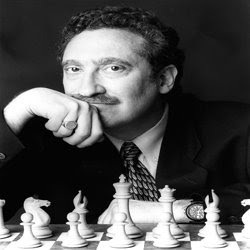 "As I recall, Fischer really liked the Gawlikowski endgame books, Lisitsin's big tactical work, and especially the Lipnitsky, which supposedly he carried around with him for a full year and, according to Bobby's own claims, helped make him a grandmaster. I was able to get all of the above books, in fact, Fischer's very copies, when I was a teenager myself. His worn and tattered copy of the first edition of Lipnitsky's classic, which Bobby signed in his characteristic printed scrawl at the time, is one of my most prized possessions." 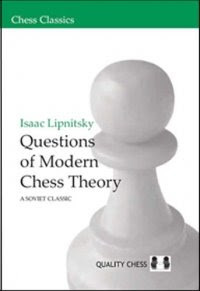 I'm glad to see that Bruce agrees that Questions of Modern Chess Theory, originally published in 1956, remains a book "every serious chess player should know about." Thanks, Bruce, for the informative comments. Haven't heard of this book? That may be because this is the English-language version of the book originally published in 1956. It is said, however, that both Botvinnik and Fischer, among many others, simply devoured the contents of this text. I was very impressed - you can read my review for the next week at the ChessCafe main book review page. 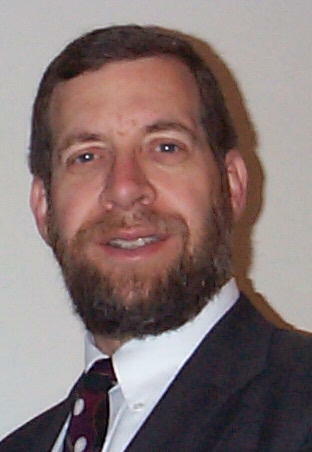 It is also permanently archived here. Well, it's been awhile since I've been able to write. Our family spent a week at the beautiful Coronado Springs Resort, part of the Disney World complex near Orlando, Florida. This was the site, just two weeks prior, of the National K-12 Championships, which I write about in my January 2009 ChessCafe Scholastic Chess column. Also covered is the Pan American Intercollegiate Championship, held in Fort Worth, Texas. Elizabeth Vicary has some great photos from the 8th U.S. Chess School session, currently taking place in beautiful Scottsdale, Arizona. Our family just returned to St. Louis from the Coronado Springs resort at Disney World in Orlando, Florida, site of the recent "grade nationals." It looks to me like a great place to hold a chess tournament, or any other event!